Sanborn, NY - Grounds keeper David Miller cleans off the hockey rink at Bond Lake. 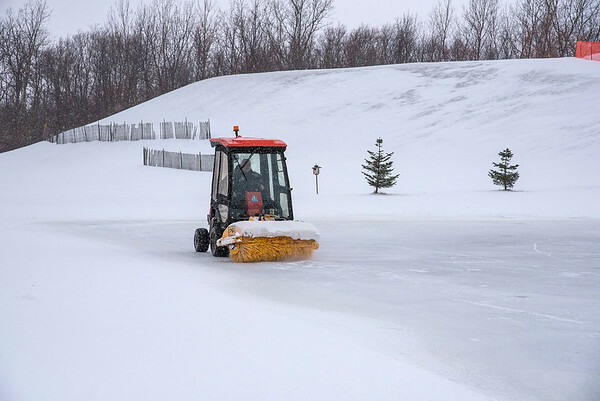 The county park features both a hockey & ice skating rink, a tubing hill and 13 miles of cross country skiing trails. "When we are here, and we're here most days from 7 a.m. - 9 p.m., the building is open to warm up." said Miller.